Contship Italia S.p.A. has entered into negotiations with MSC for the sale of its 50% shares in CSM Italia Gate S.p.A, the company that controls MCT – Medcenter Container Terminal S.p.A. MCT is the concessionaire of the container terminal activities in the port of Gioia Tauro where MSC is already a partner and the main customer. In order to speed up the deal, Contship Italia has appointed the law firm that will assist the process as well as an independent financial advisor, who has been given the task of expressing the correct value of the terminal activity and assets. During the negotiations, Medcenter Container Terminal will continue to be fully operational. 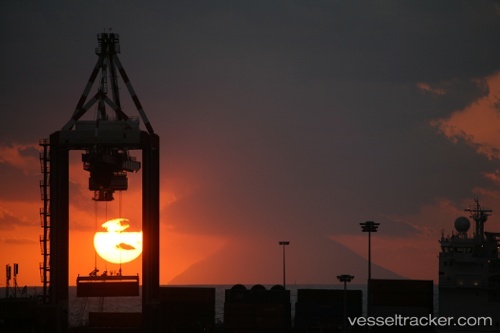 Last week Medcenter Container Terminal (MCT), Contship Italia Group’s flagship transshipment hub in the port of Gioia Tauro, witnessed the arrival of two ultra large container ships (ULCS), operated by 2M partners MSC and Maersk Line – MSC Maya and Mayview Maersk. The MSC Maya is an ‘Oscar’ class ship, one of the biggest in the MSC fleet, with a capacity of 19,224 teus and a LOA of 395.4m. The Mayview Maersk is a famous Triple-E class and is the first time such a ship has called MCT, having a capacity of 18,270 teus and a LOA of 399m.